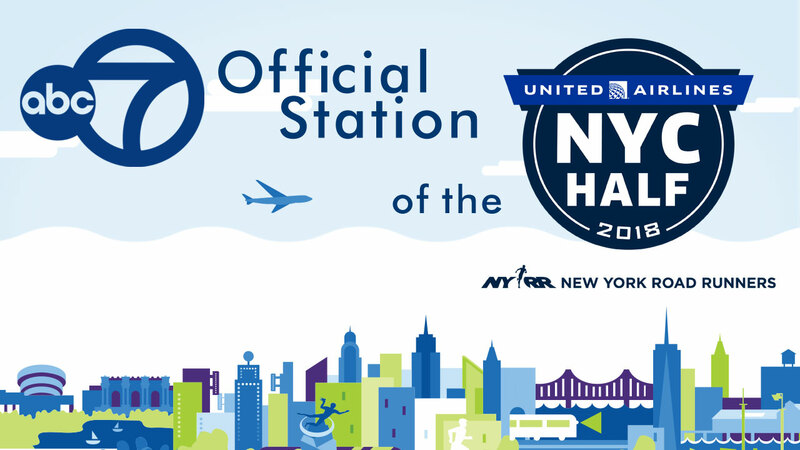 What's new at this year's United Airlines NYC Half? The 2018 United Airlines NYC Half will feature a completely redesigned course taking runners on a 13.1-mile tour of iconic city landmarks from Brooklyn to Manhattan. The race begins in Brooklyn, just south of Grand Army Plaza near the entrance to Prospect Park on Flatbush Avenue. Race participants will head north on Flatbush Avenue and cross the Manhattan Bridge into lower Manhattan, and pass through the Lower East Side before heading north on the FDR Drive, with sunrise views of the Brooklyn and Queens skylines. Runners will approach the halfway point near East 42nd Street, where they will pass the United Nations as they turn left and run by legendary Grand Central Terminal and Bryant Park. As the field makes the turn up Seventh Avenue, they will pass by 1,000 youngsters running through Times Square in the Rising New York Road Runners at the United Airlines NYC Half. Runners will enter Central Park and head north to the 102nd Street Cross Drive before the final turn south on West Drive to the finish line near 75th Street. In addition to the 22,500-plus runners covering 13.1 miles, the 2018 United Airlines NYC Half will host 1,000 youth runners-including those from Rising New York Road Runners, NYRR's flagship youth program-in a free 1500-meter race that starts and finishes in Times Square. Participants ages 8-18, including youth wheelchair racers, will have the opportunity to dash through Times Square in an out-and-back 1500-meter race alongside some of the world's top professional athletes and half-marathoners of all ages in pursuit of new personal bests. To kick off 2018, New York Road Runners launched NYRR Virtual Racing in beta to provide further access to NYRR events for those around the world, no matter where you live. A virtual race is a race that can be run at your convenience, during a specified period of time, wherever you are. Hosted on Strava, the 2018 NYRR Virtual Racing series will include a total of nine virtual races throughout the year, with the proceeds benefiting NYRR's youth.